COLBY: Okay, okay. Let’s get this meeting started. I want to thank everyone for showing up today. I know it’s not quite Halloween yet, and the holiday season doesn’t officially start until November 1st, but this year is a little different, and for that reason I wanted to get started early. What? Oh, yes? A question? 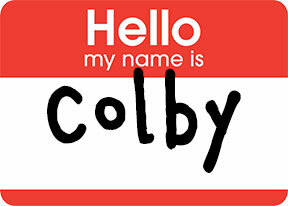 COLBY: And can you tell me your name? I see that the name tags haven’t made it all the way around the room yet. That’s right. Just write your name down on the sticker—yes, just like that—and put it on. Write large enough that I can read it, please. And legibly too! Anyway, so, yes, young man, what is your name? COLBY: Okay, Henry. What’s your question? COLBY: That wasn’t a question. HENRY: Uh, are you in charge? COLBY: Of the intern slash exchange program this year? Why, yes, I am. HENRY: Uh, what do you know about books? COLBY: Do you own a cat, Henry? HENRY: Um, no. No, I don’t. COLBY: Then there may be hope for you. Sit down and listen for a bit, kid. You might learn something. COLBY: Anyone else have a stupid question before we start? [Pause] Yes, you over there in the orange sweater. I can’t read your handwriting on your name tag. BRETTENY: It says ‘Bretteny.’ With two ‘e’s. I thought there was no such thing as a stupid question. COLBY: Again. That doesn’t sound like a question. BRETTENY: Can I ask a stupid question? COLBY: I think you just did. Okay, gang. Listen, we really need to stay on top of the agenda if we’re going to get through everything today. And I’d really like to because we’re going to launch our Twin Peaks Haunted House early next week, and I need to have everyone up to date on their literary antecedents and incidental post-meta commentary before we start interacting with the customers. [Sigh] What? COLBY: Are you here as an intern or are you doing this as a graded option for one of your school electives? QUINN: Oh, I’m here for a grade. COLBY: Okay. You have a D minus. Now get out. QUINN: But, I—can’t I have a chance to improve my grade? COLBY: That’s actually a good question, and yes. Yes, you can. By not being here. QUINN: I’m going. I’m going. COLBY: Okay. Like I said, we’re going to put together a Twin Peaks Haunted House program this year, and we’re starting today as we celebrate the release of Mark Frost’s The Secret History of Twin Peaks. As you know—well, as most of you may have read on the internet—twenty-five years ago, Twin Peaks went off the air. And in the episode, Laura Palmer told Agent Cooper that she would see him again in twenty-five years. Here we are, and the new iteration of the show is happening next year. In fact, David Lynch has already shot all of the episodes. It’s a secret, in a can! Waiting to come out. 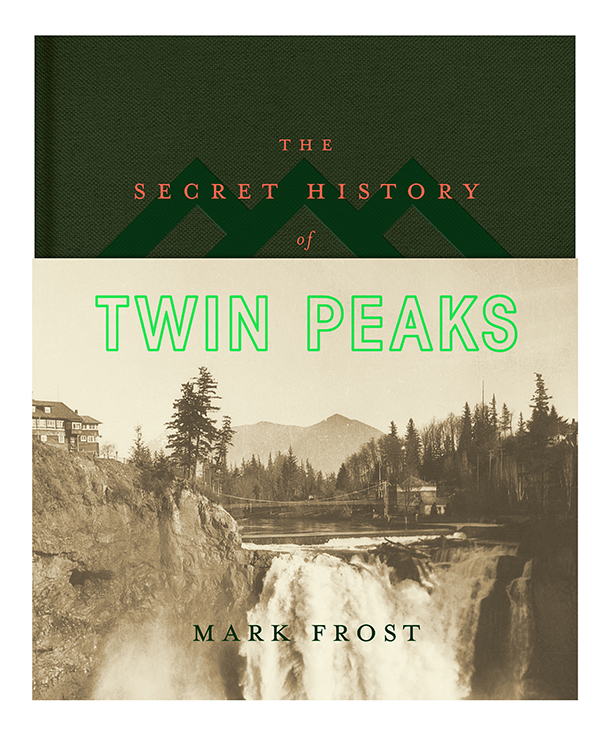 Mark Frost—the co-creator—has written a narrative history of the mystery of Twin Peaks, and it goes all the way back into the spooky protohistory days of the wild US, when nothing lived out here but marmots and wildebeests. And—yes? TIMOTHY: Hi. My name is Timothy, and wildebeests aren’t native to North America. COLBY: Not now, they aren’t. Sure. But back then? TIMOTHY: There is not historical record of there ever being wildebeests in the Pacific Northwest. For one thing, the climate is all wrong. COLBY: Do you have another thing? TIMOTHY: What do you mean? COLBY: You said: “for one thing.” Like there’s more than one reason. TIMOTHY: I—I, uh, I think that one is enough. COLBY: How long have you and yours lived in this area, Timothy? TIMOTHY: Uh, my mom is from Boston. COLBY: So, one generation? Two, maybe. COBLY: My entire species has been here for twenty-three generations, and so when I say that there were wildebeests here, eating all the soft grasses near the lakes, I speak from direct ancestral knowledge that has been burned into my very DNA. COLBY: But what? ‘You’re a marmot.’ Is that what you were going to say? TIMOTHY: No, but, well, you are. COLBY: Which is how I can claim this deep ancestral knowledge! Oh, for heaven’s sake. What? ANGELINE: Is this going to be on the test? COLBY: Oh, for crying out loud! There isn’t going to be a test! I—just—grrrr! Okay, everyone take a ten minute break. I’ll be right back. BRETTENY: Is this one of those breaks where we can leave the room and use the bathroom, or do we need to stay here? ANGELINE: I think we can leave. HENRY: Is he going to validate our parking too? FERDIE: How is the training going? COLBY: Are you sure we have to do this as part of our grant submission? FERDIE: Absolutely. It’s part of the vital process for the consideration for the James Patterson National Treasure Award, and if we win, the grant will ensure that we have the funds to keep your exhibit open all year long. COLBY: Not all year. Just until it gets warm, and then I can sleep outside in the bushes again.